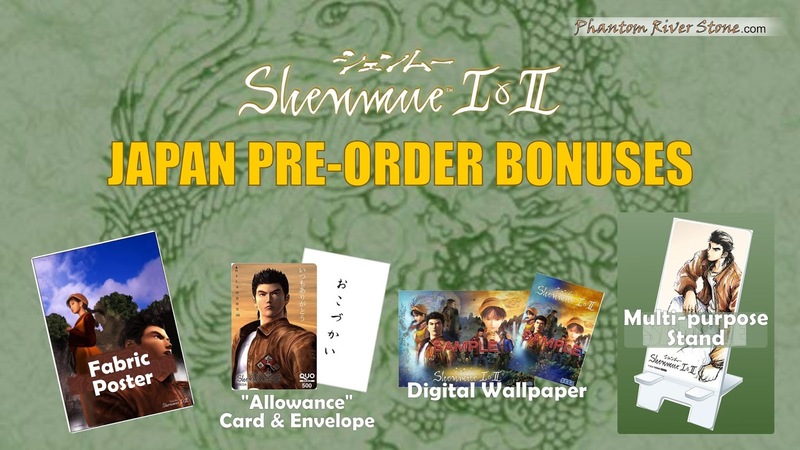 Retail outlets in Japan have embraced the upcoming release of Shenmue I & II (scheduled for domestic release in November 22 on PS4), with several offering exclusive pre-order bonuses that will make any collector start to salivate! Here is a survey of current bonuses on offer in Japan with a pre-order of the Shenmue I & II Regular or Limited edition. Last updated: 5 October, 2018. 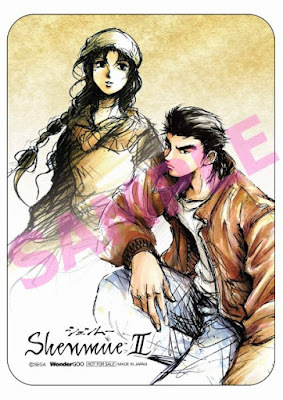 SEGA Japan has now added images of the various bonuses to the official Shenmue I & II website. 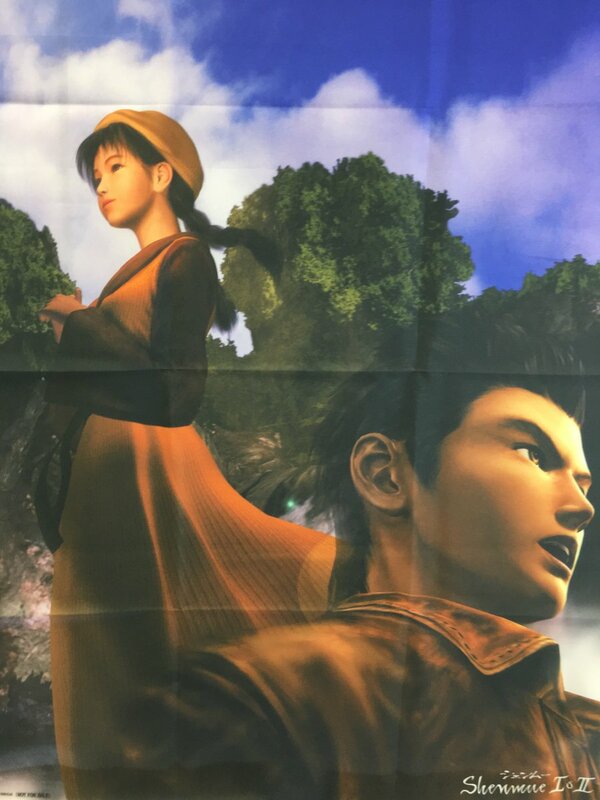 The Japanese online shop Imagine Webshop is offering a large full-color fabric poster with a pre-order of the Regular or Limited edition of Shenmue I & II, as shown in the above image. It will be approximately A1 size (59cm wide by 84cm tall). They do not appear to offer overseas shipping, so people ordering outside of Japan will need to make use of a forwarding service. 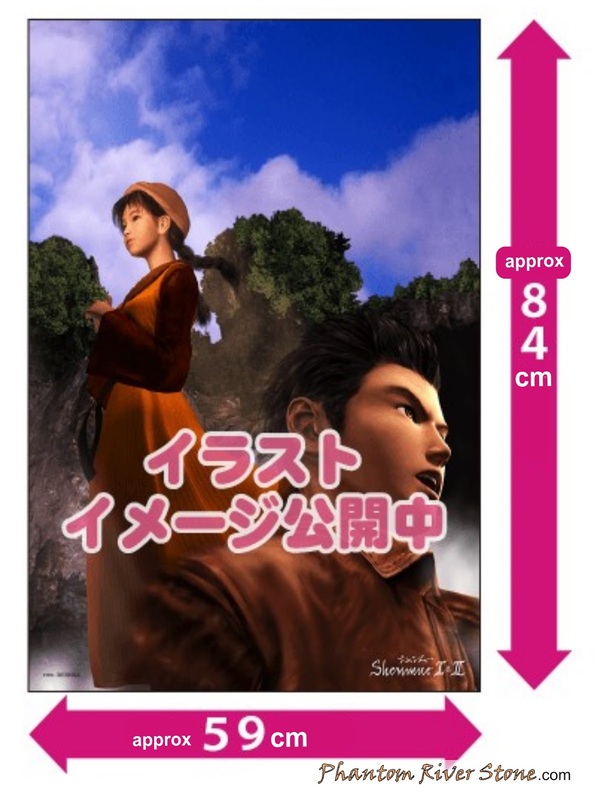 The prices listed on the site are the recommended retail prices (6,469 yen incl. tax for the Limited edition, and 4,309 yen incl. tax for the Regular edition) and domestic delivery is 580 yen. Changes to the poster's layout or design may be made in unavoidable circumstances. Be aware there will be creases due to the poster being folded and delivered in a bag. 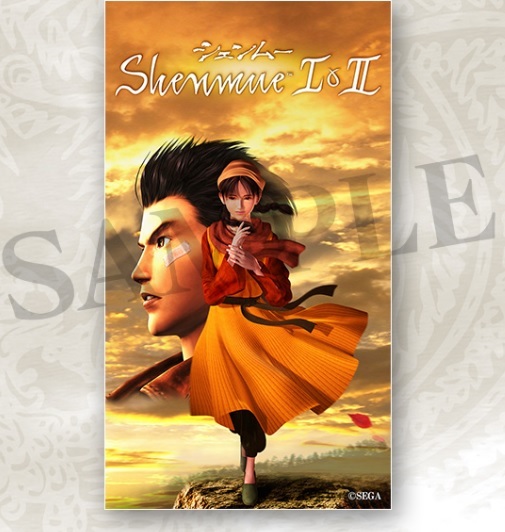 Depending on inventory, the poster pack may continue to be sold after the game's release. Credit card settlement is made when the item is shipped (not immediately). Order cancellations are not accepted. The exclusive pre-order bonus at AmiAmi's online webshop is a "multi-purpose stand" with Shenmue-themed art, as pictured above, for both the Regular and Limited edition. (Details are not provided regarding its size). The prices listed for the software are the recommended retail prices. AmiAmi support English-language pages on their site, as well as overseas delivery. Orders limited to 3 per account / shipping address. The final product may differ from the preview image. Order cancellations are "generally" not accepted. 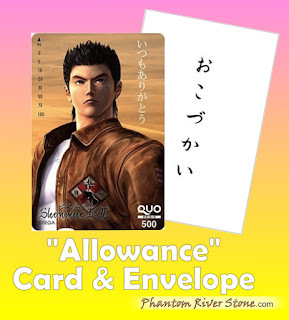 The SEGA Online shop offers a pre-order bonus of a prepaid QUO card to the value of 500 yen with a pre-order of the Limited edition of Shenmue I & II, inspired by the daily allowance that Ryo receives from Ine-san each morning in the first game. 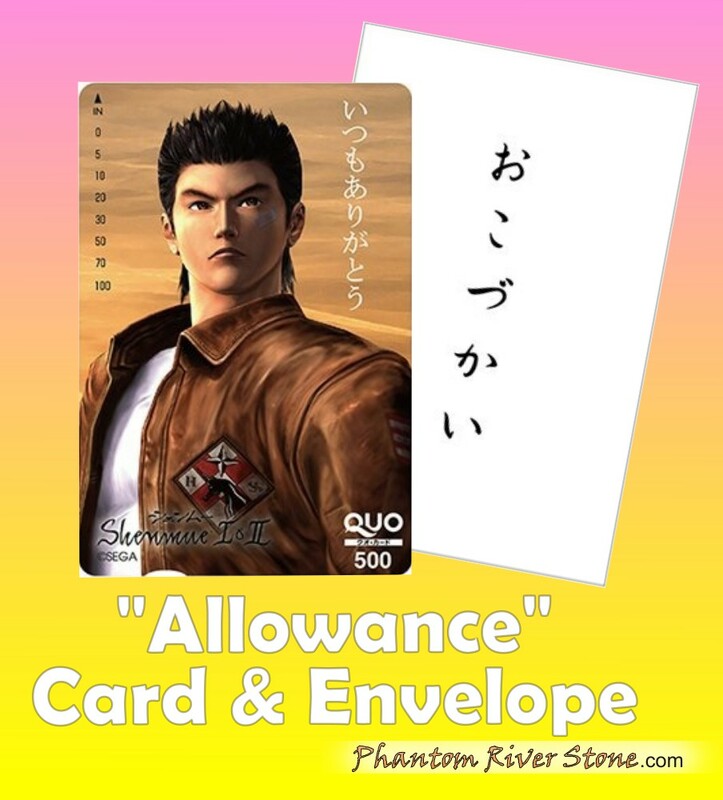 The card is inscribed with words of thanks, echoing the appreciation Ryo shows when he picks up his allowance in the game, and will be enclosed in a small white envelope with the word "allowance" on the front. This pre-order bonus is available only with the Limited (not Regular) edition. The price is the recommended retail price (6,469 yen). Overseas delivery does not appear to be offered for the game, so use of a forwarding service may be necessary for overseas orders. 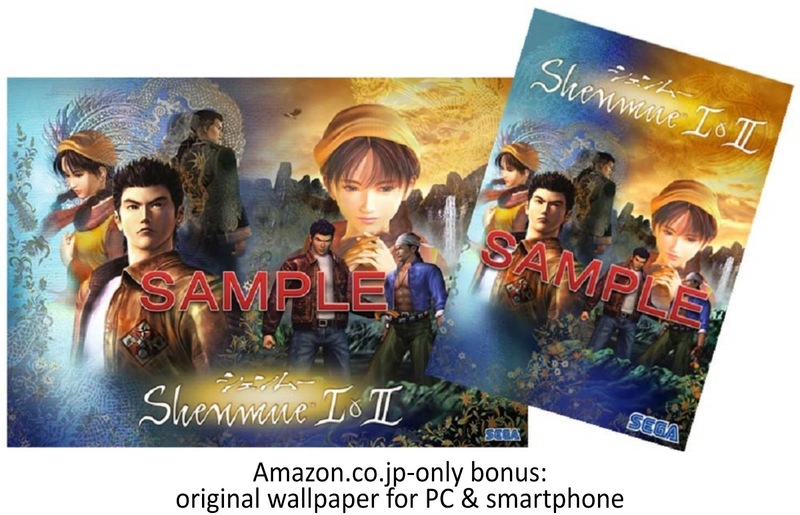 Amazon.jp were one of the first to advertise an exclusive bonus, in the form of digital wallpaper for PC and smartphone (the illustration above is a placeholder design that is subject to change). 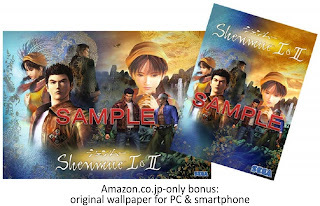 The wallpaper is available with pre-orders of either the standard or limited edition versions of Shenmue I & II. Amazon Japan offers international delivery. Cancellations of pre-orders are accepted. Amazon's no-bonus listings of Shenmue I & II offer not insignificant savings: 795 and 1188 yen cheaper for the Regular and Limited editions respectively. Also see our previous post for information about ordering through Amazon Japan. 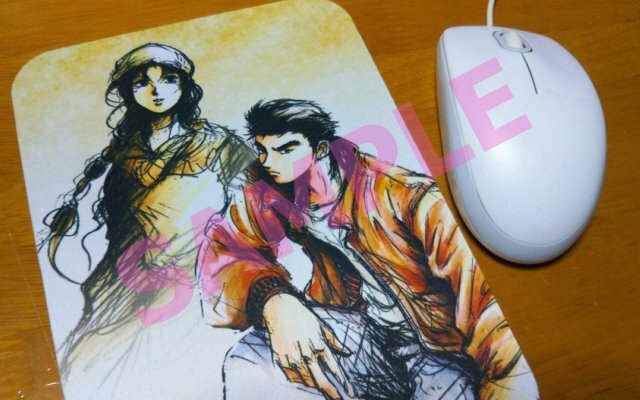 WonderGOO are offering an original mouse pad with pre-orders of the Limited Edition version of Shenmue I & II. Cancellations are only accepted within one week of ordering. Credit cards are charged just before the item is ready for delivery. Overseas delivery is not available, so use of a forwarding service may be necessary for overseas orders. WonderGOO have the listing on both the Yahoo and Rakuten online marketplaces. They also have a physical store in Akihabara. 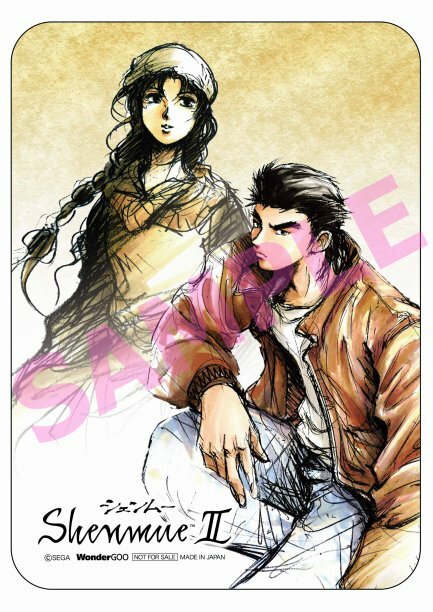 Joshin Denki has announced a digital bonus of smartphone wallpaper with pre-orders of Shenmue I & II (both Regular and Limited editions). The image above is an indication of the design and is subject to change. The prices at the time of this article are similar to those offered by Amazon at 3,550 yen for the Regular edition and 5,340 yen for the Limited edition. Domestic shipping is free for a limited time for items above 4,500 yen i.e. for the Limited Edition only. 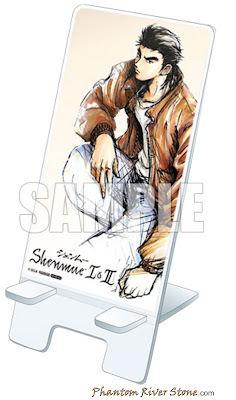 Joshin Denki also has physical stores at which pre-orders can be made. Cancellations are possible before the item is shipped, via the purchaser's online history page.